When HD televisions first hit the market, there were some marked differences between brands; today this is not really the case. There is, however, still a choice to be made between plasma and LCD technology. 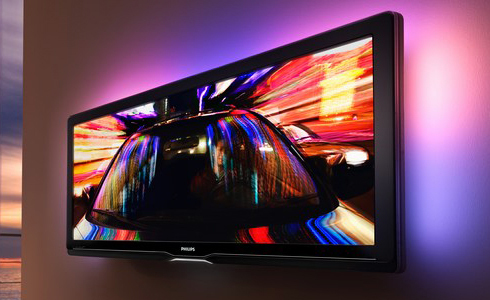 Plasma televisions were the clear leader to start off with, but LCDs quickly became more affordable, and today, they appear to be the more popular option. However, plasma televisions do produce the best black levels, which equates to a more detailed image being presented on the screen. For the majority of customers the best HDTV will simply be the one that fits their budget, their allotted space for the installation, and also provide an excellent picture. When setting up a HDTV, you should carefully follow all of the instructions that are included in the instruction manual. In particular, follow the advice about the best area of the room to place the unit. Once you’ve purchased your new HDTV, even when the instructions have been followed, there can still be some elements missing. If that is the case, there are a few different things that you can try. Firstly, check all of the cables and make sure that they are all firmly connected and are of the correct type (in this case, an HDMI cable should be used to connect all boxes and players to the TV). If composite cables (the cable that splits into red and yellow plugs on one end) are used, the image will NOT be in HD. The technology is designed to work at its highest efficiency via the use of HDMI cabling. It sounds obvious, but to receive HD images a HDTV must be connected to a TV service that provides an HD programming signal. Just installing an HDTV alone is not enough. There are a number of different HD service options out there, but it is accepted that one of the best is offered by Sky. Giving subscribers an impressive range of channels to cover all interests and other options that will help improve your viewing experience, Sky is regarded by many as one of the market leaders. The Sky HD pack provides up to five times greater image detail than would be experienced with a standard television. The vibrant colors make television shows really come alive. All of its channels are delivered in true HD, including the movies shown on the 12 Sky Movies Pack channels and the six HD sports channels. TV on demand is also now available with the Sky On Demand service. Watching shows on demand has become more popular recently and is regarded by many as being the TV service of the future. It particularly suits those viewers who have very busy and often-changing schedules. Sky currently offers up to 65 different high-definition channels, which is one of the widest ranges of HDTV channels available in the UK. The basic package includes the more familiar channels, but for those looking for more options or for specialized channels such as Sky Sports, there are other packages available. Sky also offers bundles featuring TV, broadband internet, and telephone options. Information about all of their bundles and packages can be found on the official Sky website.